Who was more of a quitter: Doc Rivers (2013) or Jeff Van Gundy (in 2002)? The question is intriguing. The answer is complicated. 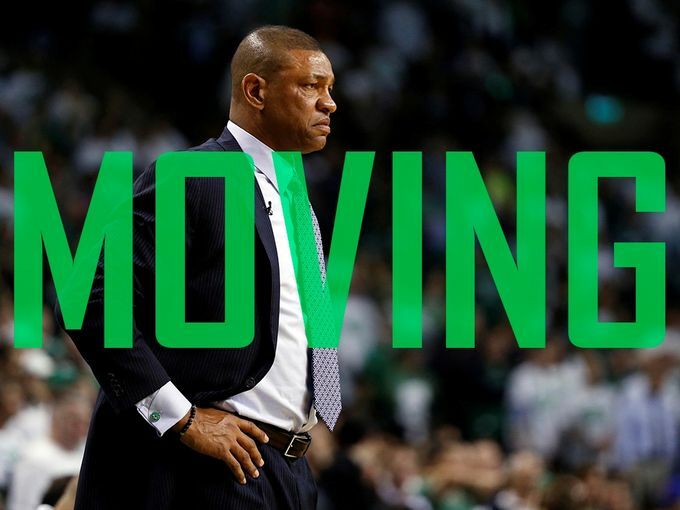 This past week, Celtics coach Doc Rivers up and bolted to the L.A, Clippers for a No. 1 pick in 2015. His team, anchored by two veterans; Paul Pierce who turns 36 this October, and Kevin Garnett who just turned 37 last month were in the way of Boston entering into a re-building mode. The Nets were the only team that could accommodate and afford the two All-Stars and have something to give the CEltics in return, so Danny Ainge made the deal this past week, garnering three future first round picks plus four players. So Rivers ends up with the Clippers, surely a contender in 2014, while leaving a Celtic team that will win 40 games, be competitive, but who will do no damage in next year’s playoffs. There are those who say that he quit on the team because they would not have been in contention, to go to a team already poised to go deep into the 2014 post season. 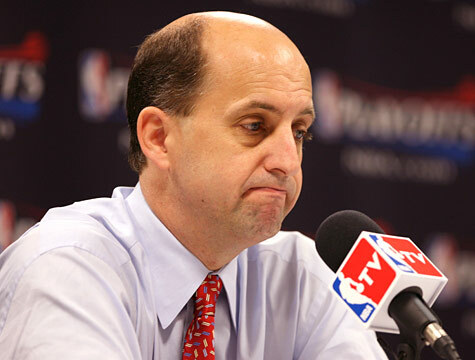 Jeff Van Gundy, who had been an assistant coach of the N.Y. Knicks for six years prior to landing the head coaching duties in 1995, was very successful, taking the team to the Conference Semi-Finals his first three years, the NBA Finals (in his 4th) and Conference Finals in his 5th season, and then lost in the first round of the playoffs in ’00-’01 season. In his seventh year as Knick coach, and after just 19 games, Van Gundy shocked everyone when he just decided to quit the team after having posted a 10-9 record at that point in the season. So which one of these two elite NBA coaches was more of a quitter? I don’t think put in the same situation as Doc Rivers that you wouldn’t make the same decision that he did, although there are reports that Danny Ainge didn’t even want him back. We’ll just have to wait and see how that story shakes out. Regrets? Rivers has a few. He’ll always feel that he and the Celts should have won a couple more championsips but injuries to Rajon Rondo one season and Paul Pierce another, prevented that from happening. We’ll say this about Doc, what he did is similar to the move LeBron James made. Something better came along and with the “Win now mentality” ever so prevelant in most sports today, he chose the place where he felt the opportunity for winning now was more prevelant, and you can’t blame him for that. Jeff Van Gundy’s departure, on the other hand was more bizarre and selfish given his previous success with the N.Y. Knick franchise. He had invested 13 years with the organization as assistant and head coach. To this day he ranks third in franchise history in wins. Red Holzman had 783 wins and a .595 winning percentage, Joe Lapchick 573 and a .595 WP and Jeff Van Gundy 420 wins with a .590 WP. He certainly was in good company with those two legends in front of him. 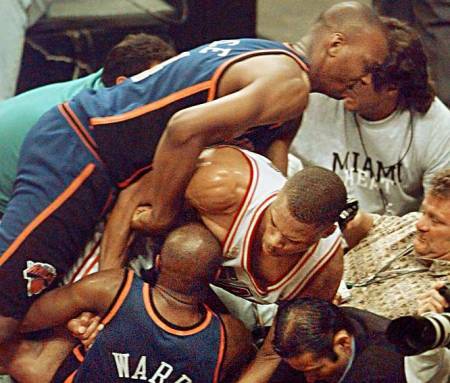 Van Gundy was one of the most popular coaches the Knicks ever had, one who was not afraid to run on the floor to prevent fights from getting out of hand and to protect his players. Knick fans were shocked and upset upon hearing that Van Gundy had just decided to hang ’em up after just 19 games into the 2001-2002 season. What has helped endear him to the fans even more, was his admission recently that he, unlike Rivers, was the quitter between the two coaches. Van Gundy has said that he regrets the way he did it, without allowing more time to contemplate the decison. He actually regrets making it so hastily, much more than the actual decision. The Knicks, over the next eight seasons after Van Gundy quit the team, never won 40 games. In fact they they didn’t win even 30 games in three of those seasons. The fans were left with a team that never had the same identity it did when Van Gundy was there, nor the personnel. The fans were also upset with his sudden departure, but after what he said this week, they would undoubtedly take him back in a heartbeat! 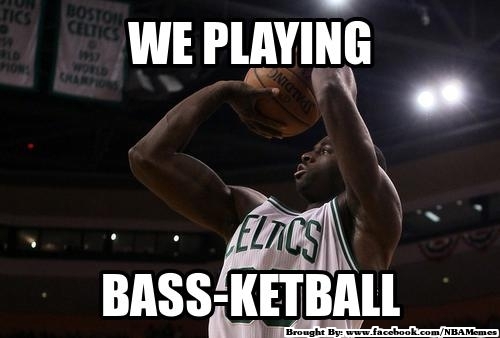 The Boston Celtics: Our take on their season; where do they go from here? 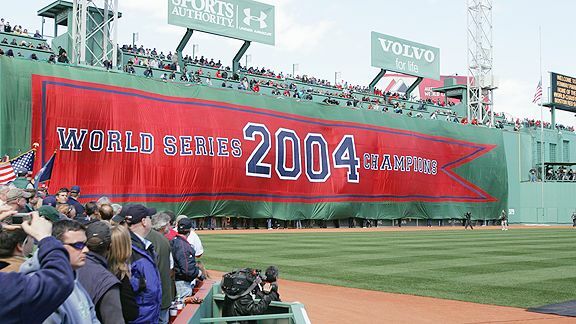 Now that the Boston Celtics, a franchise donning seventeen World Championship banners from the rafters of T.D. Garden, has been officially eliminated from any further play this season, it is time to review and prognosticate on where they were in December and who will be with them going into next season. The NBA lockout prior to the beginning of the 21011-2012 season hurt many teams. However it had worse of an impact on the Boston Celtic players more than most of the other teams in the NBA save for the Spurs and maybe the Lakers, due mainly to some of the aging stars on this storied franchise; Ray Allen turns 37 next month, Kevin Garnett 36, Paul Pierce 34. Celtics coach Doc Rivers said that KG and Pierce both did not begin the season in ‘basketball’ shape and it took a while for the two of them to shake of their collective rust. 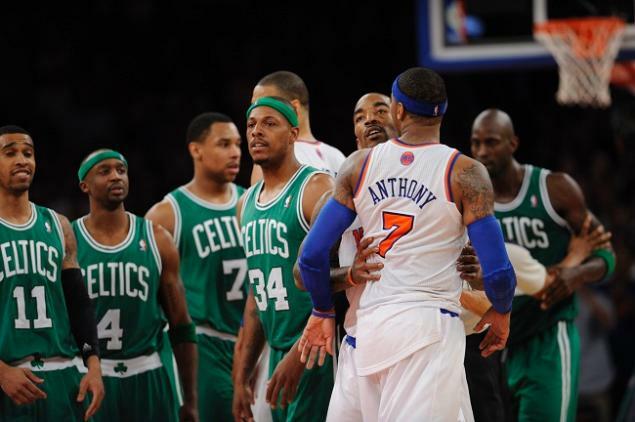 After their loss on opening day against the N.Y. Knicks, the Celtics went 4-8 over their next 12. 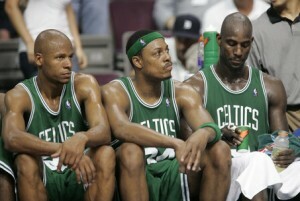 The rust on their so called ‘big three’ was beginning to show. However, they deserve an enormous amount of credit for turning their season around and being able to finish the regular season fourth in the Eastern Conference 12 games over .500. And, as everyone knows by now, they gave a pretty good showing of themselves throughout the playoffs except for game six in the Heat series when they had Miami on the perverbial ropes and allowed LeBron to go off for 45/15/5, while getting blown out of the game! 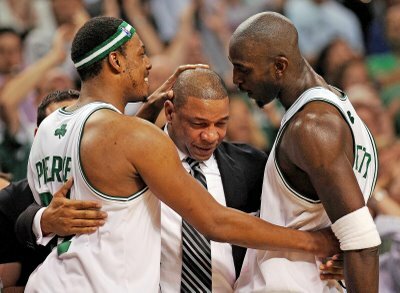 With their elimination on Saturday night in Miami, the media and fan base have already begun discussions concerning the future of some of the Celtics players; in particular the ‘big three’ of Allen, Garnett, and Pierce. Garnett is an unrestricted free agent, but we think he will more than likely get resigned for an additional two years- so also believes coach Doc Rivers. Now whether he’ll get to play both seasons is another story. Pierce has two years to go on his contract with Boston who owes him $16,790 million in 2013 and $15,333 million in ’14. With that kind of money owed, and at 34 years old, he will be returning next season. Ray Allen, another unrestricted free agent is unsigned for 2013 and with Avery Bradley poised to take over at the two, Allen will be traded to a team in need of some outside shooting and there are always plenty of them. Case in point take Steve Novak and what his presence did to help open for floor for the N.Y. Knicks. And Bradley is already signed, (and quite reasonably) over the next three years at $1.6 million, $2.5 million, and $3.6 million. Rajon Rondo of course will be going nowhere. He has three years left on his contact and is the centerpiece of the franchise. Brendan Bass, the great pickup from Orlando in the off-season, should be returning as well and will be negotiating his final $4 million contract which ends following the 2013 season. He played a key roll for the Celtics this season averaging 12.5/6./1.0 but was more than serviceable in the absence of Glen ‘Baby’ Davis. In the final analysis, the Celts deserve a pat on the back for taking their post season play as far as they did with the personnel they had. Even with their age & their lack of quickness up and down the court, they still came within one game of getting to the finals. 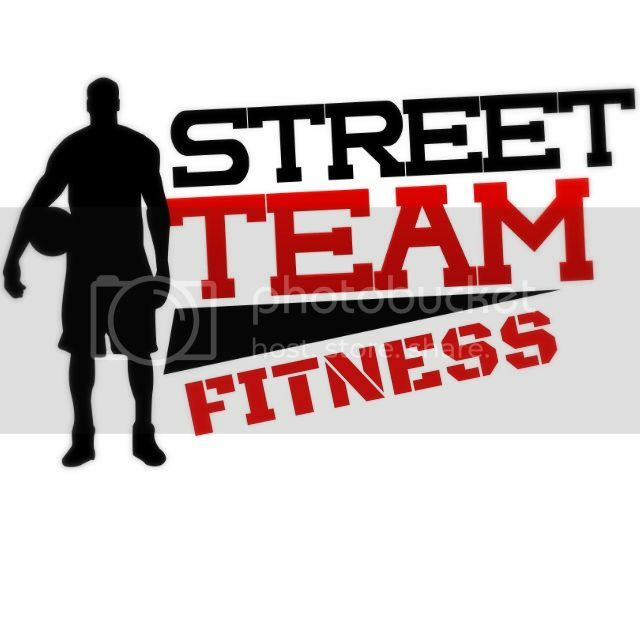 Although we couldn’t see a very much younger and faster OKC team with a stacked bench losing to the Celtics in the finals, our hats are still off to them for a job well done by the team, and their standout coach, Doc Rivers.